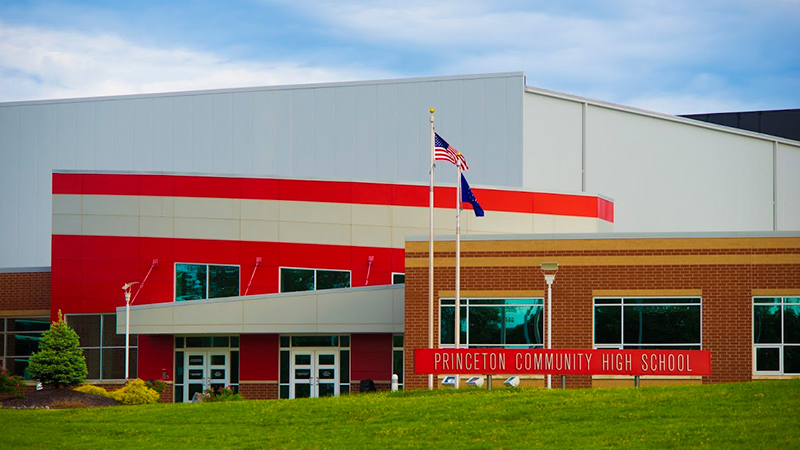 Welcome to Princeton Community High School! Welcome to Princeton Community High School. We appreciate you taking the time to explore our facilities and learning opportunties. Please take the time to view the slide show of our NEW high school facility that opened in August 2012. Also, we are excited to provide you information about our exciting Chromebook Program that provides a laptop to every student in grades 9 through 12. This is just one of many exciting opportunities we are able to provide the students of our district. If you are interested in learning more about our school and our programs, please feel free to contact our school office at 812-385-2591. Please visit the PCHS Guidance Department page for summer job opportunities, college planning information, and much more. Chromebook insurance payment is due by September 6, 2016. Please make checks payable to Princeton Community High School. FAFSA day is this Friday, 10/19 in lab C-144. The FAFSA is the Free Application for Federal Student Aid. If you are planning on attending college you need to fill this out. It not only determines eligibility for student loans, but also grants (money you don't have to pay back) and work study eligibility (employment and internships on campus). You will need the following documents in order to fill this out on Friday (if parent/guardian does not want to send information to school we can still fill out the student part and then you can do the rest at home with a parent or parent is welcome to come in for help): Student SS#, parent/guardian SS#, 2017 federal income tax return for both student and parent, and an FSA ID (create here: https://fsaid.ed.gov/npas/index.htm). Check out the Guidance Department site for up-to-date information on college planning and scholarships! Juniors/Seniors: please contact your guidance counselor if you are interested in obtaining a Work Ethic Certificate (WEC). It is a community developed and employer recognized certificate that can help provide a pipeline of skilled high school graduates into today’s workforce. These employability skills are designed to encourage students to meet the benchmarks that will assist them in their college or career goals.